With Black Her/History Month over, and with the Trump administration’s highly scrutinized actions on immigration and transgender rights affecting the nation, the Suffolk community has been intent on keeping the spotlight on diversity and moving forward to ensure the university is an inclusive and welcome place. This, however has been a tumultuous process for the university. Impactful actions that could be taken were once the responsibility of former Chief Diversity Inclusion Officer Nicole Price. Price was appointed this position in the fall semester of 2014, and within a year resigned. 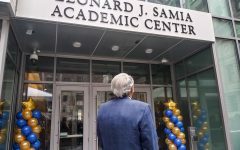 It was when the administration decided to restructure, which included relocating classes and the repositioning of faculty, that Price noticed the new direction and parted ways with Suffolk. Fulfilling her duties in this position proved difficult, and Price in a recent phone interview with The Suffolk Journal spoke of how the change in leadership between three different presidents caused a strain on her ability to do work at the university. As to why the position has yet to be filled, Greg Gatlin, the spokesman for the University, released an official statement to The Suffolk Journal on Tuesday night. Frank Cooper as senior adviser, guided the Diversity Task Force, which was created in February of 2016, to generate changes in hiring practices and provide professional development training for administrators, faculty, students and staff on important matters regarding identity at Suffolk. 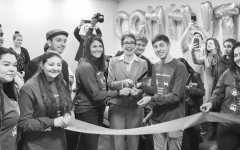 He also began the creation of the “Diversity Climate Survey,” which aims to give a baseline of the negative and positive feelings among the community at Suffolk. Cooper stepped down in the fall semester of 2016 to take some time off from instructing at the law school, and Communication and Journalism Associate Professor Micky Lee became chair of the Task Force. The Task Force has a subcommittee dedicated to drafting a proposal to find a new Chief Diversity Inclusion Officer. One of the members on this subcommittee is Director of the Office of Diversity Services (ODS) Lizette Rivera. They are currently drafting a proposal to present to Lee, and if approved, Lee will bring this proposal to Acting President Marisa Kelly in May. Lee told The Suffolk Journal that Kelly and the upper administration will decide whether the recommendations will be adopted or not. 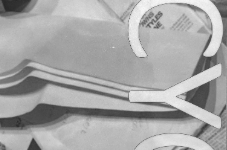 While this proposal was drafted, the results of the survey were being analyzed by the entirety of the Task Force. Junior business major and Vice Presidential candidate in the Student Government Association race, Levi Smith, is also a member of the Task Force. 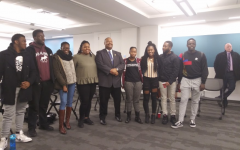 In an interview with The Journal Wednesday evening, Smith spoke about how he believes the Task Force is doing important work on the issues of diversity that face the Suffolk community at large. This negative student sentiment was not only from professors but was extended from administration as well. Senior government major and Liaison Officer for Rainbow Alliance, Sabrina Young, in a recent interview with The Journal, spoke of how the actions taken by administration to support diversity and inclusivity are ineffective. Acting President Marisa Kelly’s statement sent out Friday afternoon, which addressed the repeal of former President Barack Obama’s executive order that protected the rights of transgender students across the nation, was, according to Young, the administration’s way of “washing their hands of the situation.” Young said the statement does nothing to outline the university’s plan to actively protect their students’ rights identified under Title IX. The task of ensuring that marginalized communities feel included in the different schools of the university has become an expectation of the ODS. 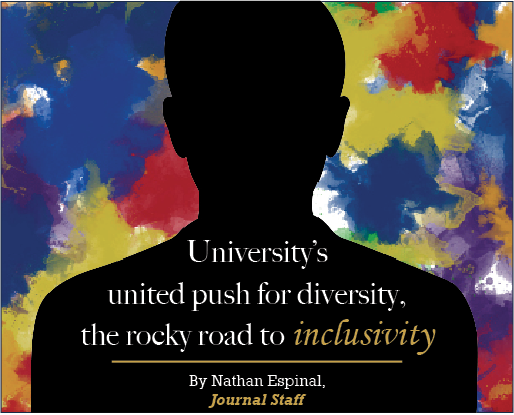 Students and staff across the university might turn to the ODS to influence change in policies surrounding diversity– even when they are not in a position to do so. The ODS and student affinity groups have had influence in the changes at Suffolk, but only because they are invited to conversations about what to do in response to an event. Those with administrative power are the only ones who have the capability to create policy that protects the students. Any step taken by the Office toward inclusivity is strongly tied with their budget, while student groups are limited by their ability to communicate with the Deans. 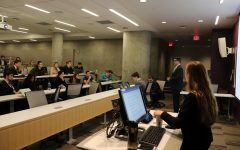 For specific reasons, the ODC combines their budget with affinity groups, who receive their budgets from SGA, to ensure programming and professional development is free of cost to students. The Office sends students and staff to “Creating Change,” a conference promoting the forward progress of the LGBTQ+ community and allies, and the National Conference of Race and Ethnicity in American Higher Education, which provides a multicultural forum for students of various ethnicities from a variety of higher education institutions. “For the heritage months, I put in equal amount of money for each month to make sure there is equity,” said Rivera. 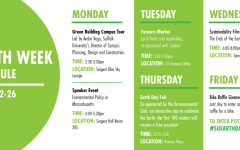 The ODS hopes to build relationships with student groups so they try to co-sponsor events. In October when Latina/Latino Heritage Month crossed with LGBT History month, they decided to look for a someone who could speak on intersectional matters. They worked with student groups to secure Eliel Cruz to speak of his experience as a bisexual, Christian man of color. The ODS also worked in tandem with the Black Student Union to secure Shaun King to be the keynote speaker for Black Her/History Month. “[Shaun King] was almost eight thousand dollars and I had to say ‘if we do this we can pay the bulk of it, but financially we can’t pay for anything else for Black Her/History Month,’” said Rivera, who added that BSU agreed to this and paid for other events for the rest of the month with their own budget. Some sources said the work that can be done by student affinity groups is also limited because they are now housed under the Student Leadership and Involvement office (SLI), a change made during the restructuring of the school a few years ago. Assistant Director of the ODS Cameron Breither and Rivera both expressed their wish to see the affinity groups under their leadership once again. “I would love to see them under our roof again, even if it’s through a more intentional partnership with SLI, because right now they’re housed under SLI. From what I understand before our space was configured differently, the groups all had their own computer terminals and that’s something they can still do here, so I would love to work with SLI and see what can be done,” said Breither in an interview with The Suffolk Journal. According to Gatlin, the university is committed to ensuring all students, faculty and staff feel welcome and empowered, which is exactly the kind of work the ODS, the Task Force and student affinity groups have been doing this past year. However, Young, along with others, make clear that this is not enough for students and upper administration should push to support queer students and students of color more. 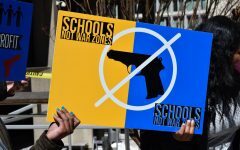 Young expressed the urgency of taking immediate action to support students of all marginalized communities because the issues they are facing are happening right now, not later. Correction: Due to an error from sources, a previous version of this article included that the Board of Trustees will also review the proposal to find a new Chief Diversity Inclusion Officer. This is incorrect as only Acting President Marisa Kelly and upper administration will be reviewing this after the Task Force proposes it.